Lectins are proteins that are found in many different foods. 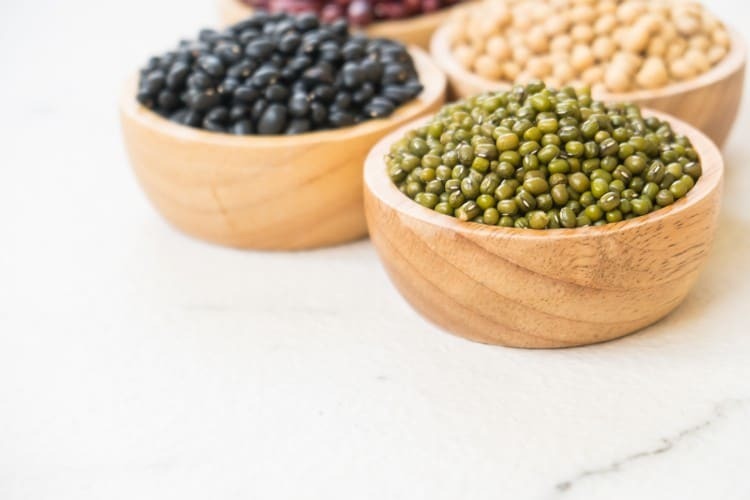 Some foods are significantly more likely to set off sensitivity reactions than others, so the question becomes, do beans contain lectins and are they likely to set off negative reactions? Are Beans Low In Lectins? Want Unstoppable Confidence About What To Eat? Research indicates that lectins in beans are a common cause of food sensitivity reactions. There is plenty more information on this page that can help you. Below is some data regarding reactions to several different kinds. This food is a great example of when lectins can be reduced by regular cooking. When raw, the amount of lectin in beans is very high, so much so that even small amounts can cause food poisoning-like reactions. You may have, for example, heard of ricin, a poison made from castor beans, that was in the hit show Breaking Bad. (Notice the scientific name, Ricinus communis.) Even when beans are sprouted, they still need to be cooked at high temperatures in order to reduce the lectin content to human-consumable levels. In fact, a study showed that cooking beans at roughly 160 degrees Fahrenheit for an extended period of time did not reduce the lectin content enough to be safe for human consumption. As a basis of comparison, consider that a chicken will typically cook at least 350 degrees Fahrenheit. This is why it has been warned not to slow cook beans as it may lead to food illness. Regular cooking of beans, however, as you would consume it in a restaurant or when cooking at home, will reduce the lectin content enough for it to be human-consumable, however, it can still contain enough lectins to cause food sensitivity reactions. Thereby, many people who are sensitive to many foods or are on a "lectin free" diet do avoid beans as they are a common food sensitivity. That being said though, there are supposedly ways to get around this, which we will cover more below. Research seems to show that lectins in certain foods are a cause of many symptoms in a compromised digestive system. These reactions can be notoriously hard to pinpoint, since the reactions are often delayed, occurring, for example, the next day. Therefore, when experience a symptom, the person does not necessarily recognize that it could be from something they ate yesterday. Additionally, if the person is having sensitivity reactions to many foods, these symptoms could be appearing intermittently and be causing the person unnecessary frustration. Possible symptoms are very wide-ranged, including not just symptoms that are categorized as "digestive" symptoms. For example, the person could have increased inflammation, joint pains, brain fog, headaches, or skin rashes. As already mentioned above, the lectin content of beans is quite high when raw, and cannot be eaten by humans unless properly cooked at high temperatures. Even sprouting, a process that is used to reduce ​anti-nutrients is not enough to make raw beans safe for human consumption without proper cooking. Typical cooking will still leave some amount of anti-nutrients and lectins that can cause difficulties, however, there is another approach you can try. The process of pressure cooking, however, may be an effective approach for how to remove lectins. ​In one study on enzyme inhibitors and lectins in legumes (beans are considered legumes), it is pointed out that lectins in beans were inactivated by cooking for fifteen minutes at atmospheric pressure or seven and a half minutes under pressure cooking. It was also noted that they seemed to be more resistant in ground bean or soy flours. Therefore, if you'd like to try eating beans on a lectin avoidance diet, you may consider using a pressure cooker. It has been said that green beans, also sometimes known as string beans, and edamame may be easier to eat than many other types of beans. The reasoning is that these beans are immature and softer, and therefore may contain a lower amount of lectins and anti-nutrients. Edamame for example, as you can see above, is the same species as soybeans, however, they are the immature version of soybeans. So even if you avoid beans due to food sensitivities, you may consider trying green beans and edamame. Green beans are great with chicken and rice, especially when steamed. Edamame is often served as an appetizer at sushi restaurants. Research indicates that beans are very high in lectins when raw. After proper high-temperature cooking which greatly reduces the lectin content and makes them able to be consumed by humans, beans could still contain lectins that set off food sensitivity reactions. Therefore, beans are often avoided on a low lectin diet, especially when the person is sensitive to many foods. They can at least be on the lookout to see if this seems like a food that affects them. As mentioned above, it may be worth using a pressure cooker if you'd like to add beans to a low lectin diet. You can also see how I was able to reduce my sensitivity to lectins, which you can​ see more about by joining our powerful insider's list by clicking the button below. If you want unstoppable confidence about what to eat, you should know that it is possible to feel wildly better by adjusting what you eat, but there is plenty of information that can lead you to eating in a way that saps your energy and makes you feel dramatically worse. Often times, "healthy" foods may even be a problem. It's possible to have greatly increased energy, greatly reduced inflammation, and feel so much better, just by adjusting what you put into your body. That much is certain! If you'd like information for how to do just that then you can check out the ultimate guide to the lectin-free diet.